A few days ago I attended a very interesting Conference about Web 2.0 in Madrid, Spain. David Weinberger, co-author of the Cluetrain Manifesto and author of Everything is miscellaneous, spoke about Digital Leadership, he used the Google Acquisitions and Investment Map to highlight the elements of the Google's Digital Leadership, showing the map's legend that summarizes the Industries where Google is present and how there are inter-connected. See the image below. 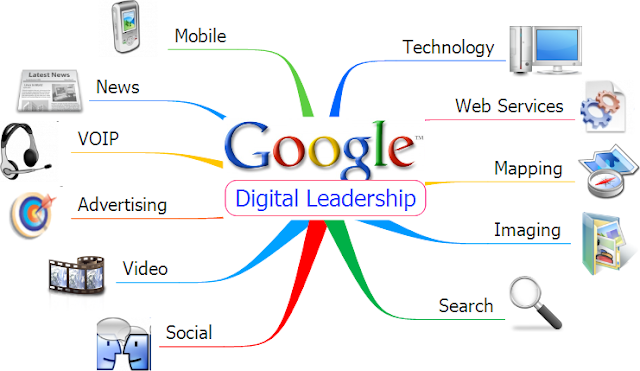 I made a simple Mindmap of those industries that are contributing to Google´s Digital Leadership.